With President Barack Obama about to embark on a trip to Africa that will include stops in Kenya and Ethiopia, it is a good time to review his administration’s track record of engagement with the continent since he took office, a record that is ending up in a far better place than it started. 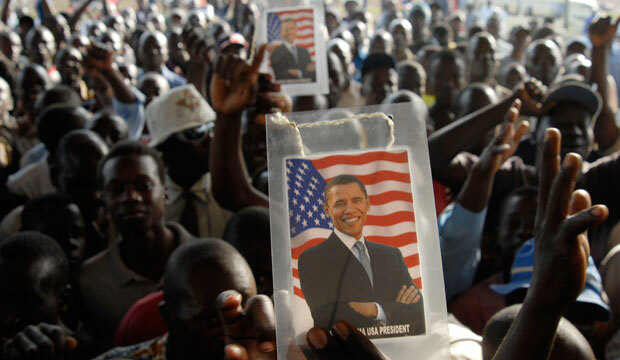 Expectations in Africa for President Obama were high, and highly unrealistic, from the start. Many on the continent assumed that since the president is African American, he would naturally devote considerable time and attention to Africa. Kenya declared a national holiday upon his election, and one Kenyan proclaimed to NPR, “This is just a blessing from god.” But biography should not set strategy for a president. Indeed, no one remembers former Secretary of State Henry Kissinger for his Germany policy; instead, they remember his work to open up China and his disastrous, often deceptive approach to Vietnam, Cambodia, and Laos. Newly elected President Obama faced strategic, political, and economic challenges of the highest order. The U.S. economy lost 800,000 jobs during the month he took office, the global economy was in freefall, and hot wars in Iraq and Afghanistan represented the largest deployment of U.S. troops since Vietnam. Given that sub-Saharan Africa issues have to fight for a seat at the policy table even in the best of times, it is no surprise that the continent fell further off the administration’s radar, particularly during the president’s first term. Deputy National Security Advisor Ben Rhodes acknowledged as much before Obama’s first multiday presidential trip to the continent in 2013, saying, “Frankly, Africa is a place that we had not yet been able to devote significant presidential time and attention to.” Further compounding the challenge of shaping a potential approach to Africa, President Obama faced severe budget constraints compared with his predecessor, George W. Bush, who enjoyed rare congressional largesse. In his first term, President Bush announced the establishment of both the Millennium Challenge Corporation—to deliver financial assistance to countries meeting certain measurable standards—and the President’s Emergency Plan for AIDS Relief, more commonly known as PEPFAR. Both were multibillion dollar initiatives that enjoyed broad bipartisan congressional support and were focused predominately on Africa, particularly PEPFAR. While President Bush received near congressional carte blanche in the wake of the September 11 attacks, President Obama faced a hostile Congress that pushed a government shutdown and almost crashed the debt ceiling. But in many ways, knowing that the United States would not be in a position to deliver traditional big-ticket aid packages to Africa helped push the administration toward a more sophisticated and mature approach. The greatest shift in the relationship between the United States and Africa over the length of the Obama administration has been the increasing recognition among most African countries that foreign aid alone will not drive lasting economic growth and prosperity. Perhaps the single best embodiment of this new attitude was the “Common African Position” on development priorities endorsed by members of the African Union in 2014. The dominant themes of the document include the need to improve infrastructure, attract private sector investment, and encourage trade. The Obama administration deserves credit for listening to the priorities expressed by African leaders both in the “Common African Position” and in face-to-face discussions. The cornerstone of the first ever U.S.-Africa Leaders Summit, where President Obama hosted leaders from across the continent in Washington, D.C., was the Power Africa initiative—an effort to use relatively modest amounts of U.S. financial and technical assistance to leverage private sector investment to improve Africa’s electrification, which is a critical infrastructure and development need. The administration maintains that it has now leveraged more than $20 billion of investment in Africa’s power sector. While it is too early to tell how effective Power Africa is as a program, it is far more attuned to what African leaders have cited as their key priorities than many traditional aid programs. In general, the administration also deserves credit for putting good Africa experts in key positions at the U.S. State Department; the U.S. Agency for International Development, or USAID; and the National Security Council. Gayle Smith, the current nominee for head of USAID, is a long-time Africa expert, as is National Security Advisor Susan Rice. Both appointments are helpful reminders that working on Africa issues will not doom a foreign policy expert to work on the margins. However, the slow appointment of a USAID administrator at the beginning of President Obama’s first term probably set back development efforts not only in Africa but elsewhere as well. Like most presidents, Obama’s track record promoting peace on the African continent has been a decidedly mixed bag. The ongoing conflicts in Sudan and the newly independent South Sudan have been as pernicious and stubborn for President Obama as they were for his predecessors. Some have blamed this on the Obama administration’s policies, but a realistic reading of the situation places the lion’s share of the blame on the leaders of both Sudan and South Sudan, who seemingly have not avoided any opportunity to make bad decisions. The situation in Kenya, after some serious wobbles following election violence, seems to have moved in a much more positive direction since President Obama took office, though the decision to increase Kenya’s involvement in prosecuting the conflict in Somalia may have some long-term fallout. While the administration largely ignored Somalia early on, a severe famine and the threat of al-Shabaab extremists pushed the White House to adopt a more coordinated strategy toward the world’s most notorious failed state. The situation in Liberia, though currently suffering a setback because of the Ebola outbreak, has vastly improved since a civil war that many viewed as intractable; the administration has been an important part of that effort. The jury still remains out on both Nigeria and the Democratic Republic of Congo, where there are clear limits to U.S. influence, as well as both hopeful and alarming signs on the peace front. The fates of these two giants will play a large role in the continent’s relative prosperity and prospects moving forward. Meanwhile, the administration’s decision to take a harder line on Rwanda certainly seems justified, as President Paul Kagame increasingly seems to view himself as president for life. Amid all of the predictable ups and downs across the African continent, there is growing recognition that Africa remains the next great developing market, with both opportunities and challenges on an enormous scale. As a result of shifting attitudes and growing mutual respect, when President Obama lands in Kenya, Kenyans will not look to him as a savior but instead as a partner. At the end of the day, this is not such a bad legacy. John Norris is the Executive Director of the Sustainable Security and Peacebuilding Initiative at the Center for American Progress.